Evan Ross has previously opened up about his amicable relationship with wife Ashlee Simpson’s ex-husband Pete Wentz. Evan Ross is nothing but supportive of wife Ashlee Simpson Ross’ ex-husband Pete Wentz. The actor and musician, who is the son of legendary songstress Diana Ross, said he’ll be cheering on the Fall Out Boy bassist at the 2019 Grammy Awards on Sunday, where he’s nominated in the best rock album category this year for the band’s album, Mania. The duo are part of a blended family that consists of Simpson Ross, 34, and Wentz’s son Bronx Mowgli, 10, Ross and Simpson Ross’ 3-year-old daughter Jagger Snow and Wentz’s two children with longtime girlfriend Meagan Camper: daughter Marvel Jane, 8 months, and son Saint Laszlo, 4. During an appearance on Watch What Happens Live with Andy Cohen in September, Ross opened up about the relationship between himself and Wentz, 39, when it comes to co-parenting Bronx, whom Wentz and Simpson Ross share custody of. Ross’ comments were not surprising, considering the Fall Out Boy bassist’s own commentary in the past on the co-parenting relationship between himself and Simpson Ross, whom he split from in 2011 after nearly three years of marriage. “I have to say, I have really good co-parents to deal with. 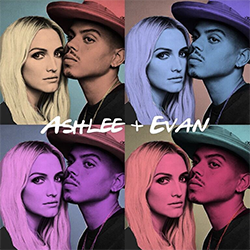 [Ashlee and Evan] are both communicative and easygoing,” Wentz told PEOPLE in January 2018. Ross and Simpson Ross, who star on the E! series Ashlee + Evan, just finished up their North American tour at the end of January in support of their eponymously titled debut EP. While out on the road, Ross said that their kids got to join in on the fun.